At B&C Aquatics, we can hardly believe that summer is almost over and the beginning of another school year will soon be in session. With so many young swimmers coming through our doors, we realize that they’re making that transition back into school mode! Below, we have gathered some tips that parents can utilize to best equip their child for a successful start to the school year. 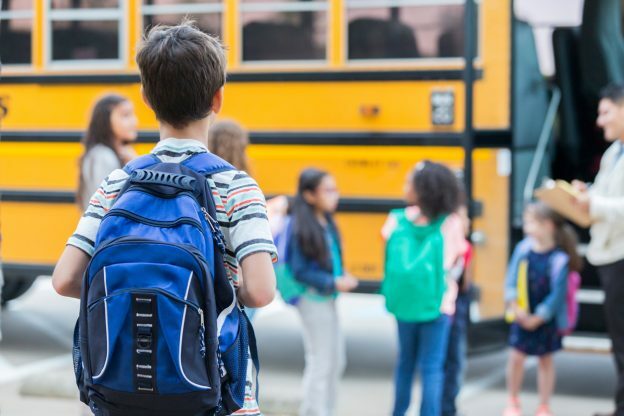 Depending on your child’s age, they may be transferring to a new building this school year or maybe you have over the summer and your youngster is enrolled in a new school. Taking time to tour the school, prior to the school year starting, helps reduce some of the initial shock of the first day of school. Unlike summer, the school year has a different rhythm to it. Gone are the days where kids can sleep in and homework is a distant memory. Starting school will be a much smoother transition for everyone in the home if parents start the routine a week leading up to the start of school. Get your kids back into the routine of setting their alarm clock, going through their morning rituals and getting to the car or bus stop on time. These routines will prevent you from getting annoyed with them on the first day of school and help your kid feel more comfortable on their first day of school. Having a friend goes a long way for a kid dealing with a new teacher, new classroom, and maybe even entirely new school. If possible, parents can ask other parents to see if their kids are in the same class. If your child has a friend with them, they will be more confident going into the new situation. Teachers are a significant factor in how a child will enjoy their academic year and many students and parents have a concern about who the teacher will be. As parents, you can ease any concerns surrounding this by taking advantage of the school’s open house or back-to-school night. Some teachers even welcome phone calls and emails, which can go a long way toward easing any potential concerns.